To remain competitive,IT organizations must keep pace with ever-increasing workloads without a similar increase in their budgets or resources. While virtualization has provided some relief by enabling the benefits of faster deployment and consolidation,it also tends to put additional stress on data center networks. In addition,the move toward cloud computing,which promises greater efficiency and a more service-oriented business model,means that these networks will face even greater demands. The HP SN3000B Fiber Channel Switch meets the demands of hyper-scale,private cloud storage environments by delivering market-leading 16 Gb Fiber Channel technology and capabilities that support highly virtualized environments. 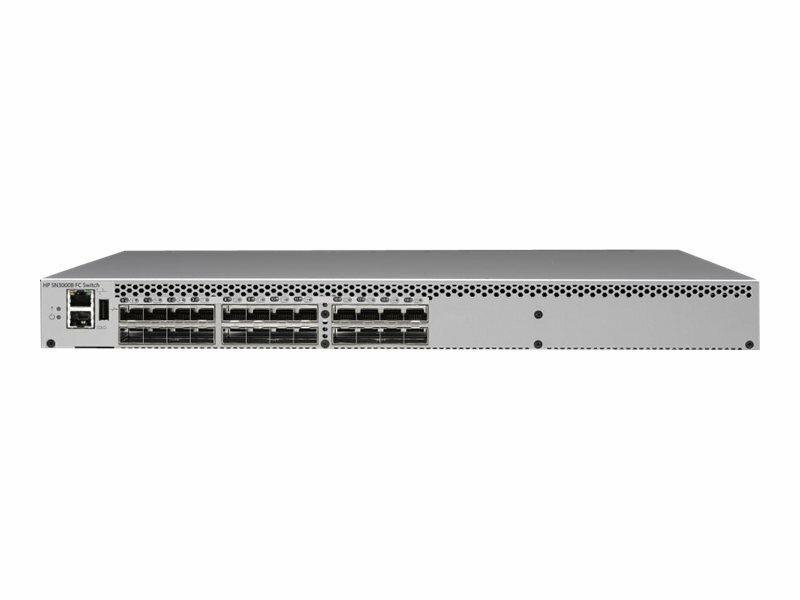 Designed to enable maximum flexibility and investment protection,the SN3000B switch is configurable in 24 ports and supports 16 Gbps speeds in an efficiently designed 1 U package. It also provides a simplified deployment process and a point-and-click user interface-making it both powerful and easy to use. The SN3000B switch offers low-cost access to industry-leading Storage Area Network (SAN) technology while providing "pay-as-you-grow" scalability to meet the needs of an evolving storage environment.